DR Medical has been manufacturing high quality, user-friendly orthotics for many years. 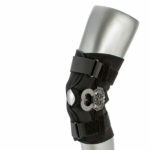 From functional bracing to fracture bracing, splinting devices to back braces, you are sure to find a comfortable, durable, easy to use product from DR Medical. DR Medical is an American company based out of Decatur, GA.